Don't forget, as you mentioned about the mentality of maximising profit, SMRT nearly wanted to venture into TELCO business to compete with SINGTEL AND STARHUB. It is scary to see how they tried to diverse, divert and lost every focus at the expenses of users, so that the shareholder and top managements get to earn substantially obscene salaries, bonuses and dividends. 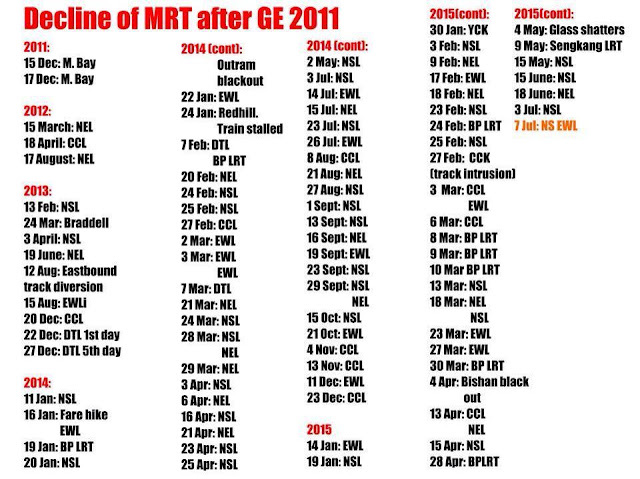 SMRT failures, are regular reminders to users of our rotten systems and management. While you raise some valid points, your blanket that the PAP and SMRT is out to rip people off and reward themselves simply discredit yourself. If you want to establish a real alternative, you have to be objective and not emotional. Please try again. I will sure vote the current ceo and transport minister out and demand for new elections to replace them...this is worse than mdm park's case in South Korea.